Trying to work out the best deposit method for playing at an online roulette site is a bit like trying to find the best roulette site itself: a real chore. Luckily, at rouletteonline.com.au we have done the hard work for you. We deposit our own hard-earned wonga at real online casinos to see how safe our money really is. Whether it's a credit card or e-wallet, we review the best deposit options for Aussie players like you. Get playing roulette and winning straight away! So many online casinos for Australians accept POLi transactions, and it's no wonder: the digital payment e-wallet service is fast, reliable, safe, and most importantly, they are based in Australia (Melbourne, to be more precise). With a banking option seemingly tailor-made for Aussie online roulette players, it's easy to see why POLi is one of the most popular methods of depositing onto an online casino. Oh, and the withdrawals are pretty nifty too. 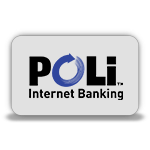 Learn more about POLi here. 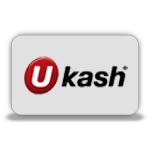 Based in the UK, and regulated by the Financial Services Authority, Ukash is a unique way of banking with your favourite online casino. Essentially it involves you buying a pre-paid card from a registered outlet and using cash on the card to make a deposit to your online account. It's safe, it's secure, and you always know what you're spending. Not only that, it's completely private, as the deposit can never appear on your bank account. Visit the Ukash site for more. Formerly Moneybookers, Skrill are the payment processor of choice for PokerStars.com, the world's leading online poker site. That's certainly some validation. All you need to do to use one of the world's safest payment processors is make a deposit to your Skrill online account with your debit or credit card. The only problem is deciding which of the dozens of online casinos that accept Skrill payments you want to play at! 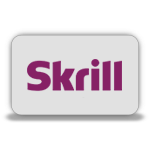 Remember when using Skrill that there may be fees chargeable for deposits and withdrawals. Follow our advice, though, and you won't go wrong. Discover more about Skrill on their website. Using a payment processor as a middle man when playing online roulette can have distinct advantages: you have privacy, as your gambing account details are kept away from your bank statement, and the chances for fraud or identity theft are much reduced. Luckily, there is one processor which is dedicated to gamblers worldwide: Neteller. As they deal with so many online gambling firms handling customers across the world (including Australia) you know it's the right choice for Aussie third-party users. 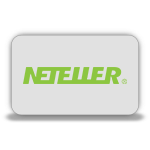 See more about Neteller's offerings. Looking to make a quick, safe deposit to your favourite online casino, with protection for your money if anything goes wrong? A credit card is probably the way to go. 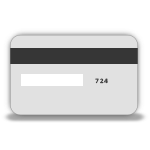 Credit card firms are experts in identifying fraud and giving their customers the ability to stop unauthorised transactions. Online gambling is still (relatively) young, and as such needs a wise old pair of hands in charge of the cash. 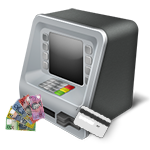 That's why depositing and withdrawing - both amazingly quick, by the way - to your online casino account are a great choice for credit card users in Australia. What's great is that every online casino worth its salt accepts major credit card brands like MasterCard, Visa, and Amex. There's so much choice, you won't have any trouble finding an online casino to play roulette that will accept your credit card. It's no surprise that one of the world's biggest credit card firms is accepted by all online casinos for making deposits. It's as quick and simple as entering your card details straight onto the online casino's cashier page, and playing at those tables straight away. If using your regular bank account isn't an option, and signing up with a third-party payment processor is too much hassle, then using MasterCard could be the answer. Remember, your MasterCard may even have a rewards program to give you even more reason to play. Oh, and if fees are a concern for using MasterCard on an online casino - the good news is there aren't any! 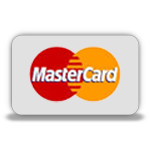 Learn more about MasterCard here. Fast, easy and safe, using your Visa card to make an online casino deposit is among the most popular solutions for Aussie roulette players. There are so many security features and total protection offered, you needn't worry about being hacked and your money heading into someone else's account, when it should be heading for one place only - your online casino bankroll. As with MasterCard, you may even be entitled to bonus points or cashback if you use it enough for banking with your favourite online casino. 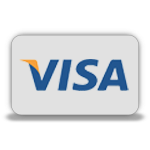 Find out if Visa is right for you here. Whether it's a credit card, third-party payment processor or prepaid card, if there's a deposit option available, chances are a great Aussie online casino accepts it. Get your money online and get playing in minutes by following our top reviews on RouletteOnline.com.au - you'll be winning in no time, safe in the knowledge that your money is safe!